In Collaboration with Loyola University WombWork Productions hosted the second annual Ella Baker Day, on April 5th, 2018. 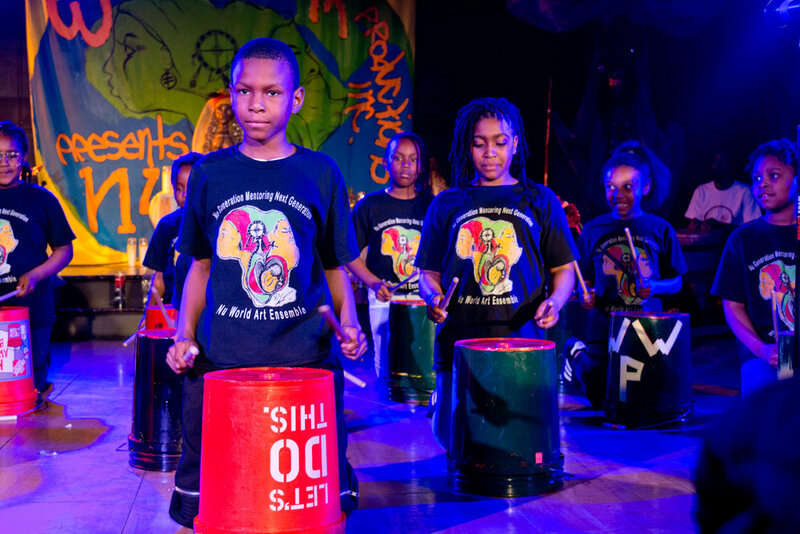 We hosted the event at our Black Box theatre in West Baltimore. 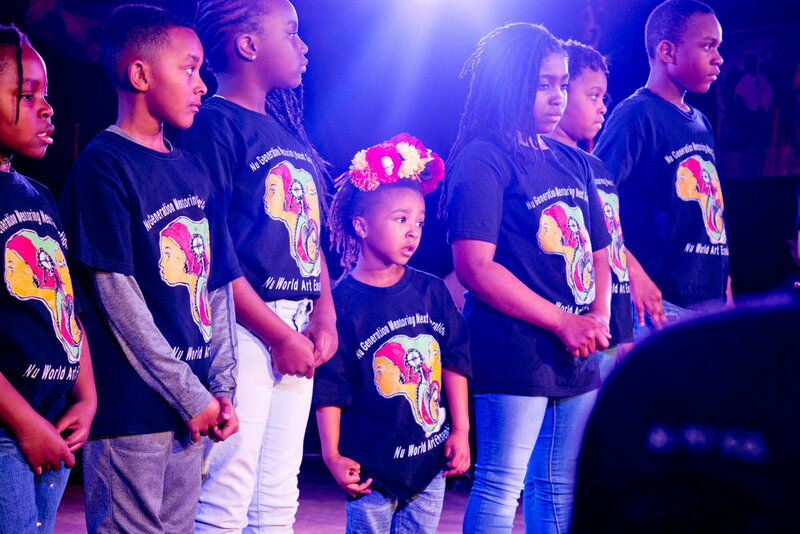 Next Generation Art Ensemble our youngest company ages 5-12 performed their original Ella Baker presentation; Loyola University alum Queen Earth performed and it was so awesome. Ella Baker Day is an annual event that occurs at various locations all over the country as a way to honor and celebrate Ms. Baker’s lifetime of community organizing and civil rights activism on behalf of communities (and especially women) of color. Ella Baker Day started at Loyola in April 2017, and is an annual event held each April. Ella Baker Day allows Loyola to increase its contact and partnership with youth in our community. There was also a social justice-themed art contest from local middle and high school aged youth with two categories for submission middle and high school submissions were shown and judged. The work was brilliant and moving. The four contest winners were awarded at the end of the night. “It was so exciting to support the creative development of the youth in our community” stated the coordinator of the Emma Baker Day Emalee J Quickel, Ph.D. Assistant Professor in Department of Psychology. @ Loyola University she said, “Ella Baker Day is a great opportunity to learn from the life and experiences of Ella Baker and to better understand and connect with our own neighbors, all in the spirit of Ms. Baker’s legacy. Well, Dr. Quickel got just what she was looking for by collaborating with WombWork Productions Inc. We pray that it will become an Annual event. 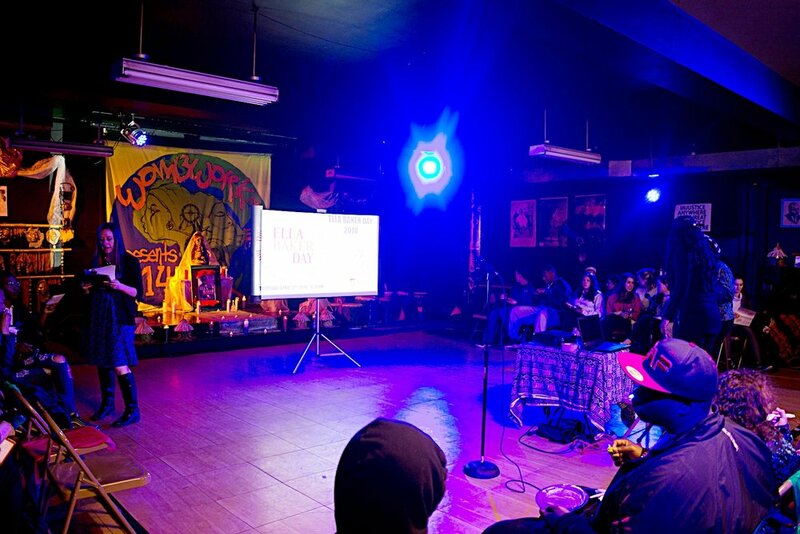 Consider WombWork hosting your next Culturally Relevant Event.